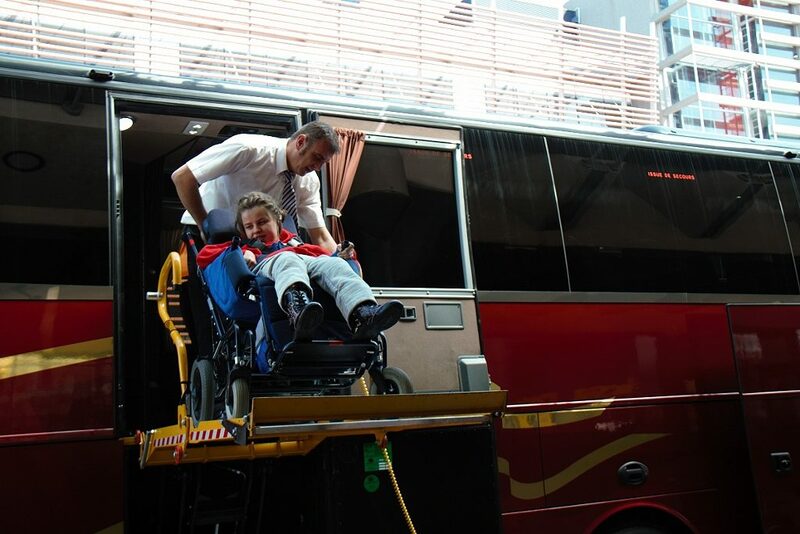 Sandra is 11 years old. 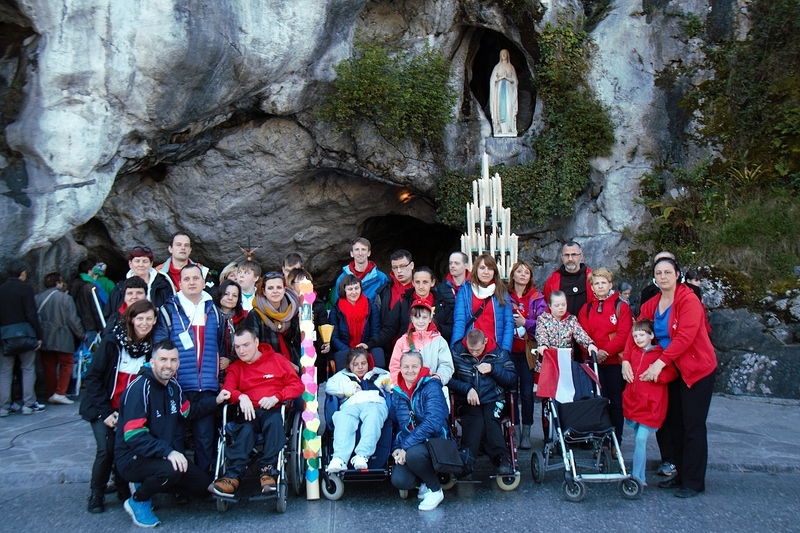 This year, she went to Lourdes at Easter to meet up with disabled children from around the world. 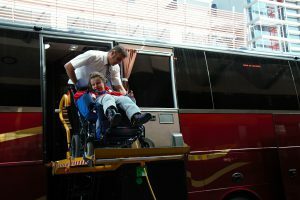 The departure was organized by the HCPT Poland Foundation, which took her on a week long trip to France with 12 residents of the Łanowej Nursing Home Street in Krakow. 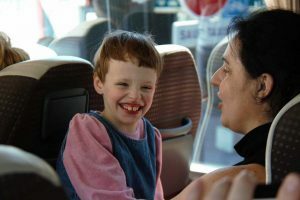 Monika, Damian and Gregory are in wheelchairs, Susan has Down syndrome, Sandra is suffering from autism. 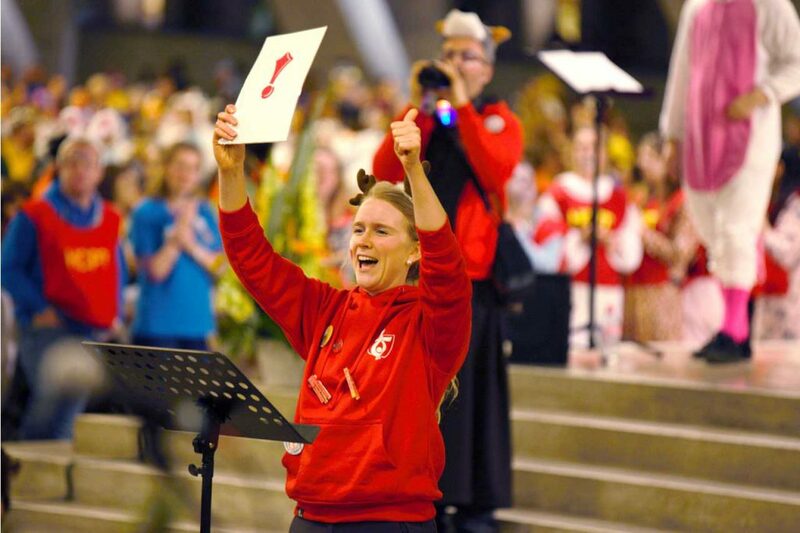 On Easter Monday she danced an unusual dance, the World Youth Day dance in front of five thousand pilgrims from several continents who were invited to Krakow for World Youth Day. 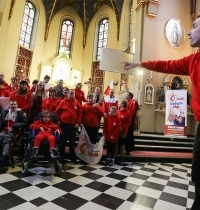 While the underground basilica sounded the first chords of the hymn “Blessed are the merciful,” HCPT-Poland Pilgrims were dressed in WYD Sweatshirts, and presented choreography, which they had been practicing for weeks prior to the pilgrimage and under the guidance of Sonja Larson, an American singing in the World Youth Day volunteers Choir and HCPT. They gathered in the Marian shrine. 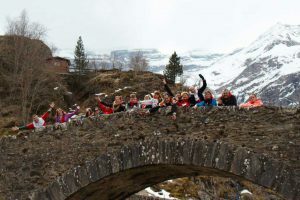 Pilgrims from Europe, Asia, Africa, Australia and the Americas did not hide their emotions, imitating the gestures, expressing mercy, forgiveness, joy, strength, love and hope. 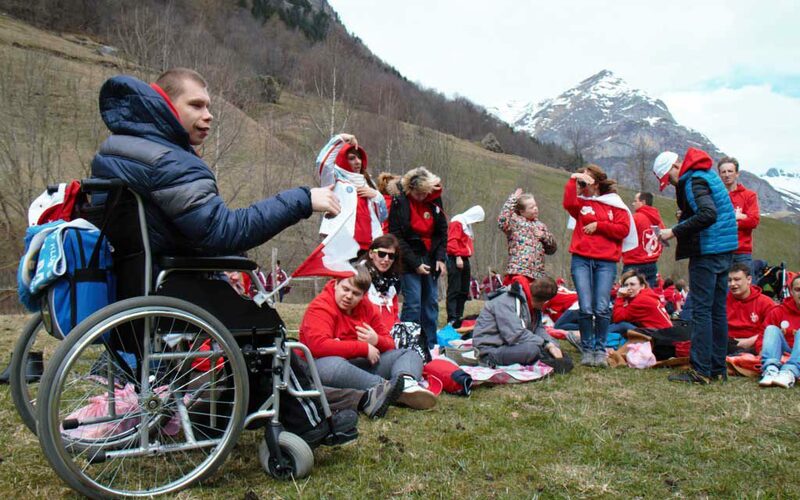 The day, which began with Mass in the Grotto of Massabielle, was a big feast, during which disabled Polish Youth became Ambassadors for the World Youth Day and throughout the week in Lourdes. 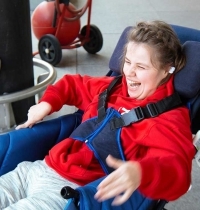 They invite everyone to the July festival for young in Krakow. WYD Flags fluttered not only at Easter, or during Monday’s worship and at the HCPT Concert, but also during Tuesday’s Torchlight procession during which Pilgrims said the Rosary in several languages. 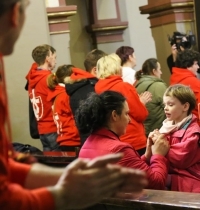 Prayers were recited in Polish for the intention of the World Youth Days. On Wednesday, disabled pilgrims from Poland went on a trip to the Pyrenees Mountains, where in the valley of Gavarnie, Fr. 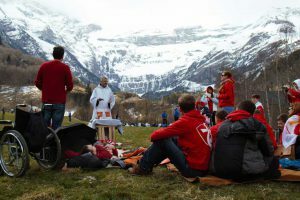 Barnaba of the Franciscan Order celebrated Mass in the meadow as a strong wind reminded them of the power of the Creator. 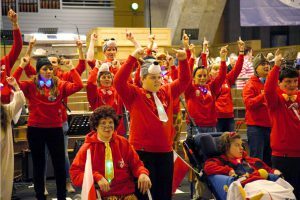 On Thursday, the British HCPT Foundation, which has been organising more than 60 years of pilgrimages for disabled children at Easter to Lourdes, celebrated the Diamond Jubilee with Fireworks. The celebrations will be remembered for a long time!! 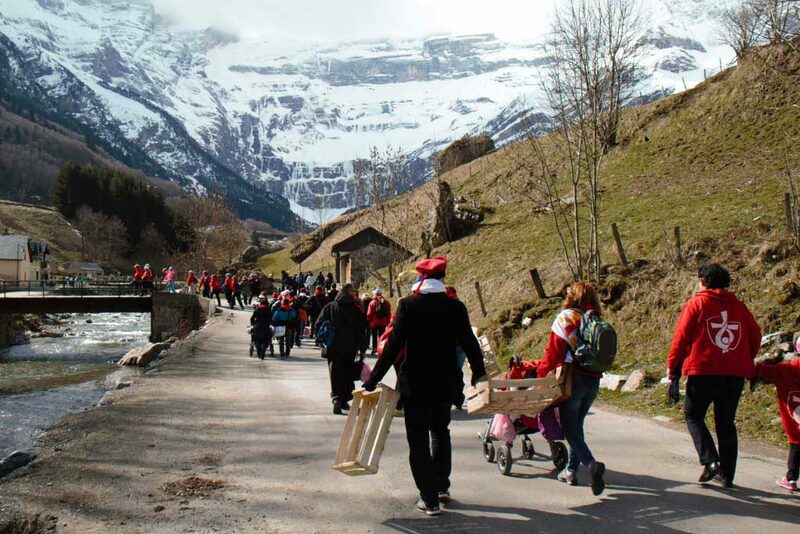 In the grotto of Massabielle, Bernadette Soubirous saw a beautiful Lady, which indicated the water source, which since then has been a sign of miracles. At the Grotto of Massabielle on Saturday, Pilgrims burned the candle for the intention of World Youth Days. Most of the HCPT Vounteers are young people aged between 18-30, who have already announced that they are going to Krakow in July 2016 for the WYD. 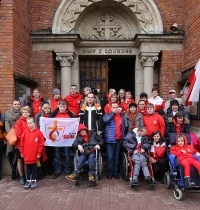 The Łanowej Nursing Home will now have friends from several continents to invite and meet for Holy Mass at the ‘Our Lady of Lourdes Church’ in Krakow on Wednesday, July 27, at 15.00. 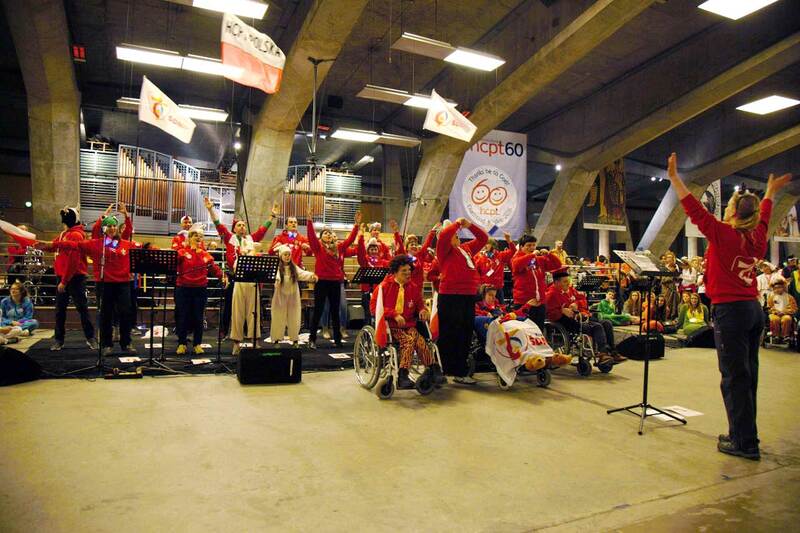 The Hour of Mercy, to celebrate the 60th Birthday of HCPT and prayer for the safe arrival of the Holy Father on the following day. Photos by Jakub Porzycki, March 2016.